If you’ve thought: I don’t want to be a physical therapist anymore, read this article. Here are the top non-clinical jobs for Physical Therapists. I want you to know that it’s OK that you’re thinking about non clinical jobs for PTs. You’re not the first PT to say, “I don’t want to be a Physical Therapist anymore.” It doesn’t matter if you’re a new grad PT, have 20 years of experience or if you’re into your first year of PT school. You should not feel guilty about changing careers. 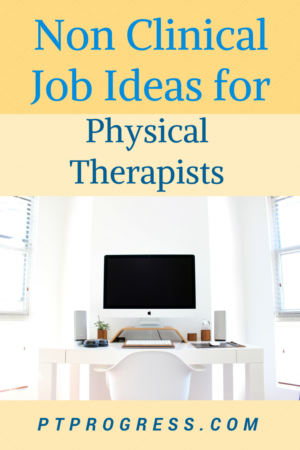 The expectations you had for your Physical Therapy career just aren’t being met. It doesn’t make you a bad PT, nor should you feel like you’re a failure. Realize this: you’ve put in a lot of hard work to get where you are. You should be proud of what you’ve accomplished. But if you’re experiencing PT burnout or realize that you’re ready to move on to a different career, this article is for you. Identifying the reasons you want to make a change is important. Your next job may still be stressful, but if upward growth is what you’re wanting, don’t take on a career that has limited opportunities. I don’t just mean Physical Therapy education. 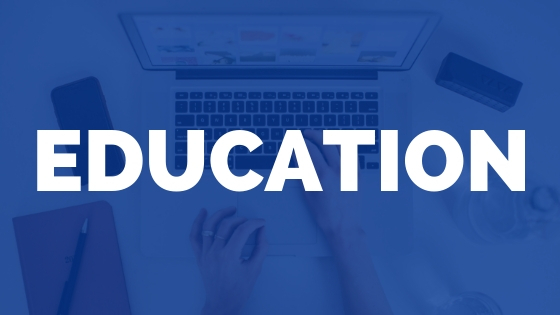 For the majority of PTs with a MSPT or DPT, you meet the educational requirements for transitioning into the field of education. Some states will require a teaching certificate for certain levels of education. Even so, look for opportunities at a local community college or university. If teaching doesn’t get you excited, still look at universities or community colleges for administrative or business development type roles. Ok, half of you will gloss over this suggestion, but don’t overlook the opportunities you have in sales. You are already in sales as a PT, convincing your patients to continue with their treatments and progressing them through their exercises. 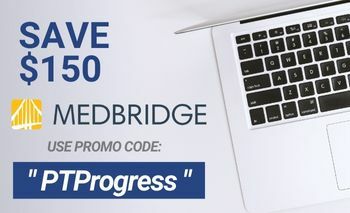 Before I was a PT, I worked in a sales environment and would say that a Physical Therapist who can manage to hold a conversation with a patient can hold a conversation with a prospective customer. Medical sales are usually the first idea that comes to mind for the PT who wants to explore other careers. But I’ve known PTs who have jumped into financial sales, insurance, and even technology/software sales. This is probably my favorite option because I’ve been making money blogging for the last 8 years. 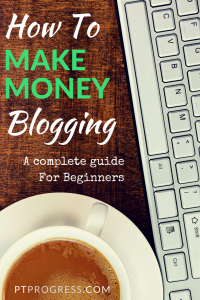 (I’ve earned over $187,000 since I started blogging in 2010) I’ve written a huge article about making money blogging, so I’ll just direct you there. Jump on your state or local municipality’s website and explore the career options. This could be a great way to diversify your resume and land a job that gives you a complete change in pace. I’m tired of hearing PTs say they’re not creative. Every day you are coming up with creative ideas for treatments on the fly and then have to sell your patients on doing it. You are in marketing already and if you’re curious to explore the a creative career, check out jobs in marketing. You may start a bit lower in salary (45-55k) but opportunities to grow in a creative career are endless in this field. Do you enjoy working with people, but just don’t like the clinic environment anymore? Start searching for jobs as a HR Generalist. 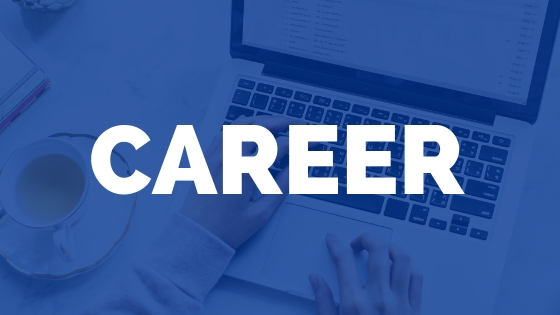 With many alternative career options, you might start a bit lower in salary, but the skills of a HR professional can translate in to multiple fields and progress you upward in the HR department. Again, this is for the PT who still enjoys working with people, but needs a change in the environment. You may find opportunities at hospitals, clinic groups, insurance agencies, advertising agencies, or even local manufacturing and distributors. Promote yourself as someone who can connect with others very quickly and highlight your skills as consultant. Afterall, your work as a clinician involved presenting new ideas to people and solving problems. That’s the basis of business development. Let’s step back and talk about a job that still helps a lot of people, but doesn’t involve working directly with a lot of different people every day. 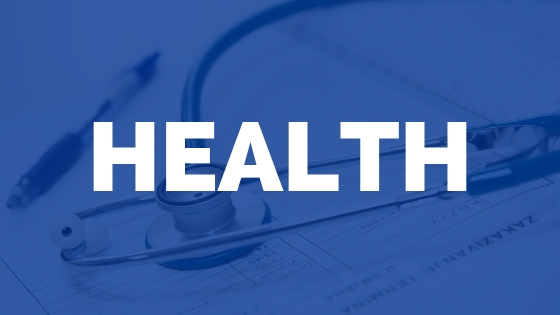 As a health writer or freelance writer, you can use your knowledge of the medical field and craft articles for companies who need someone with your skillset and expertise. I like this option because it’s something you can start now. Search for ‘health writing jobs’ as a start. With an advanced health degree and experience as a Physical Therapist, you are qualified to bring solutions to workplaces as a health consultant. This may take a bit more preparation, but if you’re serious about a change in career, consider this as an option. I’ll write more about my journey to build my health and wellness consulting practice in a future article. If you still enjoy your job, but really just need higher pay, check out the article: Physical Therapist Salary Guide – How to Negotiate A Higher PT Salary. I’m interested in talking with someone regarding opportunities for a PT with over 30 years experience. I am interested pursuing a non clinical PT job for a PT with over 30 years of clinical experience.